The environment, a subject of geography ? A history of the environment ? Economics of the environment or an ecological economics ? 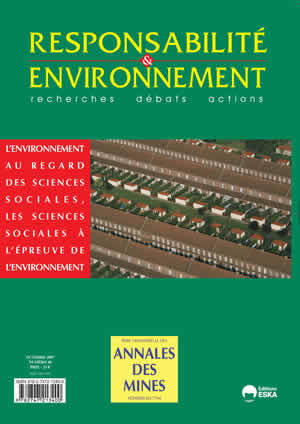 “Sustainable development”, a social success : What can it do for the social sciences ? Water resources, a source of wealth or a heritage in sustainable development policies ?